At Scissorhands UK, Ashley Howard and his team understand how important high-quality, high-performance hairdressers scissor are to client satisfaction and hairstylist comfort and morale. They also recognize that having access to practical expressions of artisanship is important to hairstylists – who are creative by nature. This is the thinking behind the manufacture of our beautifully crafted Dragon Hairdressers Scissors. 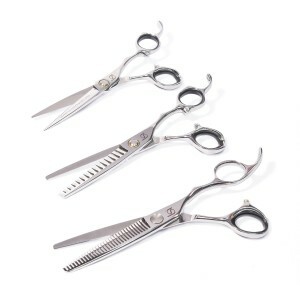 The Dragon Classic 5.5 Inch Hairdressers Scissors (also available in 6 Inch and 6.5 Inch) are classic cutting tools that are perfect for palm cutting, as well as all types of precision cutting. The designer handles not only look good, they provide plenty of posture support, which reduces a hairstylist’s job-related aches and pains. The Dragon Sword Blade 5.5 Inch Hairdressers Scissors (also available in 6 Inch and 6.5 Inch) are great for palm cutting, precision cutting, classic cutting, and slide cutting because they’re engineered with your overall comfort and smooth, sharp cutting in mind. All Dragon Hairdressers Scissors are hand-crafted from Japanese VG steel, which not only endures typical everyday hairdressing salon use between regular maintenances, but boasts a lightweight quality, ergonomic styling, convex blades, and the smoothest slicing available. When cutting with Dragon Hairdressers Scissors, stylists report having to use minimal effort whilst cutting, leaving them with fewer aches and pains at the end of every day. 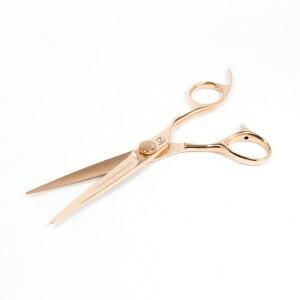 Hairstylists use Dragon Hairdressers Scissors with pride, thanks to the handsome dragon-style detailing. 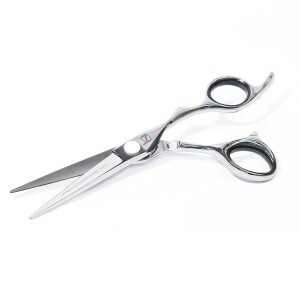 Many hairstylists like the fact that their hairdressers scissors are unlike others in the hairdressing salon, adding to their loss and theft reduction efforts. 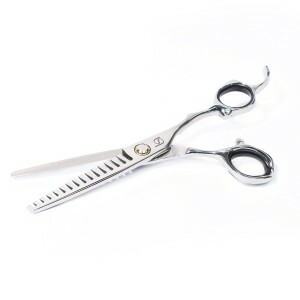 Plus, many hairstylists and hairdressing salon managers invest in personalised or branded engraving, to add to the customised feel of the Dragon Hairdressers Scissors, as well as to deter theft and to aid in loss recovery. 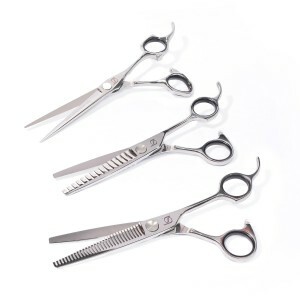 Whenever you purchase a pair of hairdressers scissors from Scissorhands UK, you will be given the opportunity to add the Hairdressers Scissors Protection Programme to your cart. With it, you will get up to three repairs per year (even if you drop or break your hairdressers scissors) and one care and maintenance service per year…all for less than £3 per month. No matter if you’re shopping for hairdressers scissors, in need of repairs or maintenance for hairdressers scissors, looking for haircutting advice and tutorials, or in need of advice in hairdressing salon management, Ashley Howard of Scissorhands UK is here to help. Simply email your concerns to him or call 01535 658 570. A family business with long hairdressing heritage. Expert product advice, finance, training & scissor care. 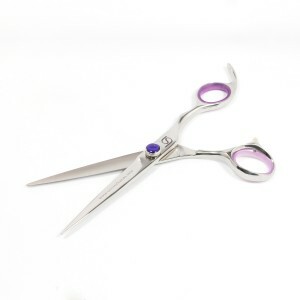 Our scissors are forged using the highest quality steel. ©Copyright 2017 by Scissorhands UK. All Rights Reserved.